The benefits of chiropractic care are practically endless. When you have total nervous system health, your body can heal itself and perform at optimal levels, free from medications and side effects. With corrective care at Vital Connection Chiropractic, we focus on finding the cause of your problem and ensuring it doesn’t return. Lifestyle and functional improvements like better sleep, decreased recovery time from workouts, higher energy levels, increased workplace awareness and less exhaustion are all common areas where practice members report amazing improvement. Focusing on your goals and improving your key areas of life are where we can have the biggest impact on your well-being. Our focus is on treating the subluxation, which is when a joint is misaligned from its proper position (or jarred out of a healthy position). To realign it, we use adjustments that put it back into place. To correct this condition and realign the vertebrae, we use specific chiropractic adjustments that allow for the removal of nerve interference and restoration of proper nerve flow therefore creating strength in the tissues the nerves feed as opposed to weakness. Any noises you may hear are just the inflammation that had developed in the joint leaving the area. Adjustments are gentle, easy and don’t hurt. 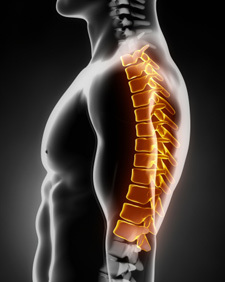 We take a tailored approach to your chiropractic adjustments using hands-on methods such as Diversified and Specific Prone Technique. A low-force or a high velocity adjustment can be utilized, so we can suit our techniques to everyone, from babies to geriatrics. Contact us today to schedule your appointment at our Fishers practice! Same-day visits are available.